Differences between Gas Innovations High Purity Hydrocarbon guaranteed cylinders and standard low pressure cylinders. 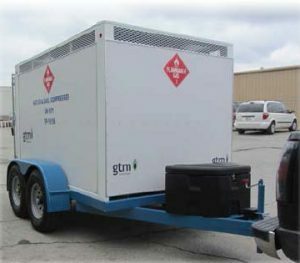 Click here to view all portable trailers available. 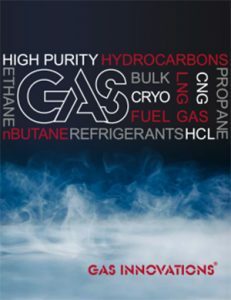 Transporting high-pressure gases with current applications in Argon, CNG, Methane, Helium, Nitrogen, Carbon Monoxide, HCL, Hydrogen and breathing air services. 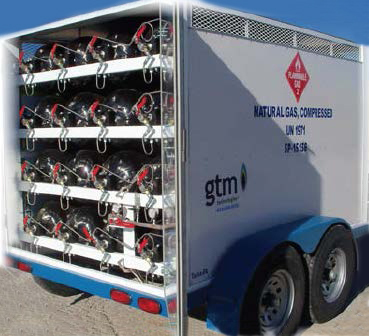 This 10 foot model provides the most versatile, highest-density, lightest-weight gas storage module available on the market today. Having both DOT and TC approvals, the portable trailers offer customers high filling densities at 40% of the weight of comparable steel transports. This means customers can transport high volumes of gas with vehicles as small as a ½ ton pick-up truck. Aluminum Fiber Wrapped High Pressure Tubes are available for purchase or lease. Contact us. Short and long term lease or purchase options available. LPG Rail Car 120,000 lbs. to 130,000 lbs. Click here to view spec gas cylinder packaging. Click here to view refrigerant cylinder comparison.